I’m honestly having trouble believing I’m doing this. Hubby had been all for this forever, but I just could not get into the idea of feeding my dogs raw meat. He would toss them a raw meat treat cut from something he was making for dinner or the old “tiger meat” thing that’s so popular with men and I would start to gag and have to leave the room. Memories of my Dad’s fresh killed deer hanging from a tree in our yard or in our garage, deer being hauled home in the beds of pickup trucks or hanging over cars like trophies would flash in front of my eyes and I found this very upsetting. I always hated to see any of that and would avoid it at all costs. However, being one to want to do what’s best for my dog’s health and remembering the issues we’d had with commercial dog foods (see “What’s in YOUR Dog’s Food Bowl“) I finally decided it was time to break down and do a little research. The little bit turned into more and then more research and OMG! What an eye opener this turned out to be! What’s BEST FOR THE DOGS is What Matters! 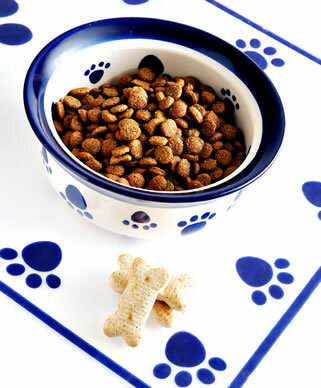 Pet food manufacturers (yes, cats are included here, too!) don’t put it all on the labels and many of the things they do list are named something else or are obscured in some way. You pretty much have to be a scientist to translate all the ingredients because they’re experts at skirting or renaming ingredients making them sound so pretty and wholesome, using “creative wording” which boils down to flat out silently lying to people about just what’s in that bag or can of dog food. It was easy for me to admit that I was soooooo tired of wondering and worrying about what I was really feeding my dogs that after learning more about raw, it was like a relief to even think about moving forward into raw feeding. So, because of all the problems we’d had, the toxins and other nasty things commercial dog manufacturers put in dog food, and what I learned about raw feeding, I finally caved in and about three weeks ago I agreed to dump commercial dog foods of all kinds and move into feeding our dogs a raw meat diet. I haven’t looked back even once and unless some drastic new development negates what I’ve learned about raw feeding, I will never feed another dog of mine commercial dog food. I’m still somewhat at the “sinking in” point. Me? Feeding my dogs raw meat? How REVOLTING! Even now, nearly three weeks later — I still have trouble sometimes believing I’m doing this. I look at their new meals and sometimes my gag reflex still sets in and I have to turn away. I still have to remind myself that this diet is soooooo much better for them than all the other “people accepted” dog foods we’ve tried. Handling raw meat is one of the worst things I do but latex gloves and feeding frozen or partially frozen meats (no bloody mess!) have rescued me from quite a number of repulsive moments. My Dad is probably literally rolling on the floor laughing because he knows just how much it bothers me to deal in any way with raw meat and in particular venison because I’m soooo against killing those beautiful animals. I don’t do well with hunting any animals, but deer have always been my biggest problem. Probably because of the way hunters show them off as they travel home with their prizes. I find no need to advertise the fact that they’ve killed a deer. I find it very offensive to see dead deer hanging every which way on or in vehicles. Why not close the pick-up truck tailgate? There has to be more discreet ways to transport them, and I’m convinced they only transport in these ways in order to be show-offs. You don’t see dead cows and pigs hanging from vehicles! I have no doubt I’m in for some real harassment from my Dad the next time I see him. In order to save myself from the horrendous guilt of my dogs ever eating venison (they haven’t had any yet) I had to accept that hunters are going to kill deer no matter what. I hate it, but I can’t stop them. At this point I can’t say for sure if I’ll actually ever give my dogs venison. I don’t know if I can get past the pictures in my head of those beautiful animals with the big brown doe eyes. Hey, if they never have venison that’s ok with me! How Can One AFFORD to FEED RAW MEAT to a Dog? Actually, raw isn’t all that expensive and in fact it looks like we’ll be spending less on raw than we did on commercial dog foods. We didn’t just buy the crap dog foods they sell in the grocery stores or Walmart, we always bought top of the line dog food. That doesn’t mean Science Diet or Iams either — talk about crap dog food! If you feed that stuff you may as well just feed your dog a bowl of poison because eventually it can kill them or at the very least make them very sick and incur expensive vet bills. Our previous dog food cost us about $160 a month and to that we’d already been adding some raw meats and vegetables as well. Imagine my surprise to learn that dogs shouldn’t eat fruits or vegetables. First of all some or parts of some of fruits and veggies (for example tomato skins) are toxic but lots of people feed their dogs things like pizza, spaghetti or other table scraps that contain tomato skin. Additionally, we would buy this thin cut steak and frozen chicken tenders to dehydrate for their dog treats. In all reality, it was literally costing us around $200 – $250 a month to feed our two dogs. I can’t tell you how many bowls of the dehydrated I would wind up throwing out because they weren’t hungry and although I’d refrigerate leftovers once to feed again later — once was my limit. If they didn’t eat it in Round 2 it got tossed. We are lucky in that both of our dogs will walk away from their bowls when they are full but it also meant we wasted to much food. Many vegetables are chock full of carbohydrates that dog’s don’t need and only add to weight problems. Have you noticed how many overweight dogs there are out there? Feeding your dogs carbs can be compared to us humans living on things like candy and cake. We don’t need it, it’s not real healthy but it sure tastes good and it can make us fat. Have you ever looked at your dog’s poop after they’ve eaten veggies? Yup, quite a bit of veggies they aren’t even able to digest so by feeding veggies, you’re really only increasing the piles of poop that you then have to clean up! The veggies haven’t done your dog even one ounce of good or you’d not see their remains in the output. Besides that — some dogs are prone to eat poop because there’s undigested food in it and then poop still smells edible to them. By eliminating veggies — you can help eliminate the disgusting and unhealthy back yard snacking, the horrible breath that goes along with it and the remnants they may have in their mouths when they come back in the house and kiss you (or your children!) or just drop tiny bits all over your house that you probably don’t even see. Grains are another thing that dogs shouldn’t have but it sure makes a great cheap filler for dog food manufacturers. Yeah, all those pretty dog food commercials that tell you how great their food is because it’s got fruits and veggies in it? That’s for human benefit — NOT your dogs! It makes you want to buy their products though, doesn’t it? I’m convinced that pet food manufacturers will stop at absolutely nothing to get people to buy products that are nothing more than the garbage parts of animals, ground up, stuffed full of cheap fillers, enhanced with preservatives and toxins all made pretty and conveniently packaged for the sake of humans! Even though we were feeding top of the line manufactured dog food, it still contained things dogs shouldn’t eat. What it didn’t contain were the preservatives and toxins so at least I wasn’t feeding poison — but we were feeding them stuff they really don’t need and can’t digest anyway. When it comes right down to it, if you’re concerned about money — feeding your dog dry or canned dog food means you’re spending money to feed them things they shouldn’t have and that can kill or make them sick in the first place. You’re paying good money to feed your dog animal parts that have only missed the trash because they can legally be labeled ok for pet consumption. So for example, when we fed our dogs pet grade beef hearts we had to cut out most of the fat. Dogs need some fat, but they don’t need all the fat that’s in pet grade raw beef hearts. In our case, feeding pet grade beef hearts without cutting way a good majority of the fat led to diarrhea because it’s to rich. We were wasting money buying pet grade beef hearts and it’s the same principal of feeding commercial dog food. What’s in it is mostly waste that anyone in their right mind would throw out but some body decided it was ok to feed to dogs and cats. Ugh. If you think about pet grade vs. human grade — you’re cutting off a lot of fat which you paid for but aren’t using. By switching to human grade it costs a little more but we aren’t throwing anything away so it’s pretty much a wash and a lot less work because we don’t have to cut off what we shouldn’t feed anyway. By going raw, we eliminated the dehydrated food at $160 a month and the vegetables and other stuff we’d feed them. Our two 80’ish pounds dogs each only need about 1.5 pounds of meat per day or a total of just three pounds for both. Yup folks, that’s it. Take for example a bag of frozen chicken quarters at about $7 a bag (and that’s not an on-sale price so you can do even better when it’s on sale). I just counted and found there are seven chicken quarters in it. Each quarter averages one pound. That’s seven meals or just a buck a day. They don’t just get chicken quarters (but chicken and turkey are mainstays in raw feeding) so let’s look at a few other things. Turkey necks are $1.39 per pound (even cheaper than the hamburger you buy for family) and average about a half pound each. A package of mixed chicken gizzards and hearts just $1.24 per pound. If we move on to things like beef, we buy the mark-downs and sale meats. A one pound package of stew meat or ribeye steaks cut in half is a little over half a meal per dog. I was pretty surprised at the fact it’s going to cost us less to feed our dogs real meat (which is what nature intended for them to eat anyway) than it cost us to feed commercial dog food. Just some real basic calculations tells me it’s now only going to cost us around $60-$90 per month to feed both our dogs. If we get lucky and some hunter friends or co-workers give us their game meat scraps during hunting seasons or we’re able to find all our meats on sale — we’ll do even better. Keep in mind these costs are for two 80 pound dogs. If you have a small dog you might spend an average of maybe 50 to 75 cents a day or if you have just one big dog you could probably feed him for a buck or so a day if you watch what you’re doing! For example, a very small dog might only need a small bit of chicken for a meal. Small dogs only need ounces not pounds of food. So, compare that to what you just spent on that potentially toxic bag of dog food which contains all kinds of stuff that’s bad for dogs and you may see exactly what I’m talking about. But BONES SPLINTER and Can PUNCTURE! One of my BIGGEST FEARS! Do some research and you’re likely to find out what I did. It’s cooked bones that do the damage not raw bones! I still watch them closely when they’re eating (as should you) but the big fear is gone and the longer I feed raw the more comfortable I get. I won’t kid you — it is scary at first. For me it was a matter of letting go of old beliefs that many uneducated-in-raw vets and lay-people still preach. After I paid attention for awhile to how my own dogs eat I got more comfortable with each meal. 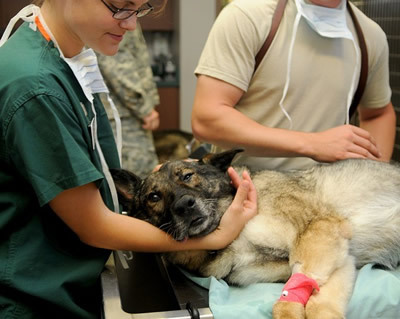 Vets rarely see emergency punctures and the like from raw feeding. Can it happen? Yes, but you can take steps to help prevent it. Did you know there’s more danger in dog toys and dog chews like rawhide than there is feeding raw bones? Yup, that was one thing I thought of. I found out that our dogs prefer their meats frozen or partially frozen so no bloody messes! Feeding frozen or almost frozen helps them take longer to eat so satisfies both tummy and chewing needs. It also helps keep their teeth clean and along with the bones — we’ve eliminated the $250 per year per dog dental cleanings at the vet. No more putting them under to perform the cleanings either, which is a danger all on it’s own. 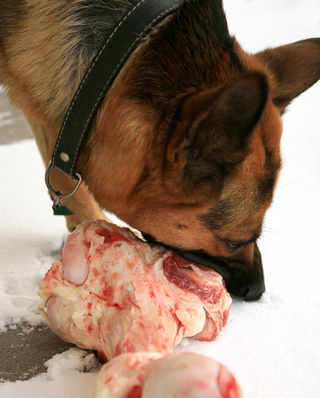 Some people who live in mild temperatures feed their dogs outside which is another way to keep the mess away. I opted to put an old blanket to use which I put down in front of their bowls. When they’re done, I can just take it outside and shake it out, fold it up and it’s good to go for the next meal. Wash it once a week or so and it’s ready to go again. 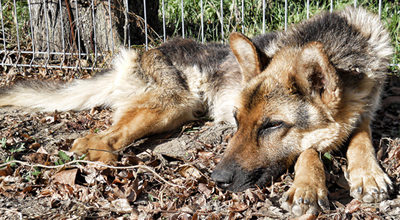 Feeding frozen or near-frozen also helps to slow down dogs that normally wolf their food which does appear that to some degree will lessen the chances of your dog bloating. There is no guarantee that this will eliminate any chance of bloat so please don’t misunderstand me but it’s been proven that wolfing their food is one contributing factor to bloat. There’s other benefits of raw feeding beyond what I’ve mentioned here including helping to improve your dog’s behavior, their coats, significantly decreasing your vet bills and more. But I’ll save these for other posts. If you’re considering going raw at your house, PLEASE do your research first. 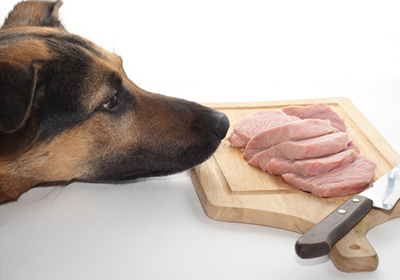 Don’t just start buying raw meats willy-nilly and feeding it to your dogs. There are nutritional requirements and some hazards you do need to know about before just diving in. The hazards are more common-sense based in my opinion and have a lot to do with knowing your dog and how they eat. Once you know what they are you can take steps to avoid them or drastically reduce the chance of them happening which makes raw feeding no more dangerous than you eating a meal. There is a learning curve that you should be aware of and follow and precautions you need to take but I won’t go into all of that here. I’m still trying to figure all that out myself. There are different ways and beliefs for feeding raw. Your research probably will and should allow you to find these. Once source of confusion was the difference in beliefs of dogs being carnivores or omnivores (but again, that’s another post). My biggest mistake (so far) in our adventure into raw was that I got tremendously confused by the very different advice I was getting. My suggestion is to find and stick with one style of raw feeding if you want to eliminate most of the learning-curve frustration. I got myself so confused at one point I was in tears and ready to chuck an entire freezer full of meat into the trash. Once I studied the difference between carnivorous and omnivorous and determined that dogs are carnivores it was easy to see that the information I was trying so hard to follow was from these very different beliefs and then things got much easier. But even with that said, you can expect to experience some confusion, but at least you will be dealing with just one belief. I would also suggest that you don’t dive into raw feeding — dog-paddle into it and things will likely go much more smoothly for you. So, all things considered — I’m even better than ok now with raw feeding and I feel much better about what my dogs are eating. Long as I have hubby to handle the thawed meats and latex gloves to handle it when he’s not here that is! Hi. For our dogs, when we initially fed raw about 5 yrs back, and were still learning what worked for them, I tended to give too much bone on some days and their poop would be crumbly and white. Never got to the point of being a big problem w/passing their stools as I knew to add some beef/chicken liver or increase muscle meat to balance things out. They are 50 pound dogs and now they sometimes eat bone in chicken breasts w/ a bit of beef liver (remember that if they were eating their own prey, and they’d eat a chicken, they would only get a small amount of chicken liver!) As it says on the site, its what you feed over several days not every single day that adds up to a good balance…don’t worry if you don’t feed bone every day or organ meat every day….just try and provide it consistently and they’ll be fine. Thanks for joining in here :) nice to have a new face! I know you are trying to do right by your dogs, but just feeding them mostly poultry means your dogs are not getting what they need nutritionally on a mostly poultry diet even if it is a raw diet. Feeding raw doesn’t have to be expensive. It can become costly for those who add expensive cuts of meat. We don’t have to do this but we do. Hubby has been known to sneak steak into the shopping cart when I’m not looking. It’s marked down steak, but steak none-the-less! I strongly encourage you to get away from the mostly poultry diet and give them a more varied diet. Check with your local meat market if you have one. I buy pet quality beef hearts in 25lb cases for $1.69lb. I ask for the lean ones and so I really wind up with pretty much people quality beef hearts for the price of pet quality. My meat market slices them for me into 1″ slabs. We also buy various mark-down packages of a variety of meats every week when we shop at Walmart. To my understanding for a lot of people, poultry is a “staple” and it is in our house as well. Chicken quarters and turkey necks are where our furkids get most of their bone quantity from. But for each meal the poultry is like 1/3 of the meal and then the rest is boneless beef or pork. Ground meat tends to defeat the purpose of the chewing satisfaction part of the raw diet. At our meat market they have a raw dog food section where they also have “tubes” of mixes of various ground raw meats which include things like the tripe and other portions. I haven’t looked at the price but if you want to do the ground meat thing you might have a look for something like that because it will contain much more than poultry. As I recall this type of thing costs less than the regular cuts of meats and will provide your dog(s) with a more rounded variety of meats. Liver and kidney are both organs so you don’t have to stick with just liver. I also watch the poop and try to keep it balanced with the boneless cuts. If you can’t do this, then I hope you will get them some good vitamins so that they get more a more balanced nutrition intake. Awesome write up. I’ve been looking for something for my husband to read, so he can understand a little more why I’m feeding raw! We are feeding 2 Border Collies and 2 Toy Poodles. All doing good, just need to tweak what I feed and when. I’m so glad you liked the article and feel that it will help your hubby understand. I hope so, too! We’re still tweaking after about two months on raw. I almost think it’s going to be an ongoing thing. Good luck to you and thanks again for visiting with us! Good for you! Excellent! Awesome! Keep up the good work! Hooray for Riley and friend’s good food! Thanks so much for your kind words and encouragement!